Tolerance allocation is a very important assignment. 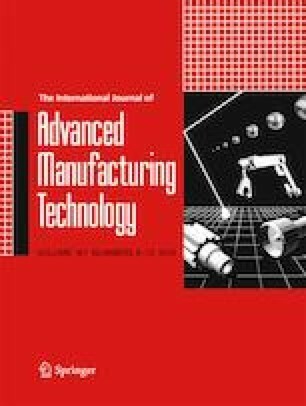 In fact, knowing how to allocate efficiently tolerances for assembly parts in a computer-aided design (CAD) and computer-aided manufacturing (CAM) system is a very key issue because the cost and quality depend directly on dimension tolerances. The traditional optimization approaches complain about a lack regarding the evaluation of manufacturing difficulty to solve tolerance allocation problem. In this paper, a new approach based on difficulty coefficient evaluation (DCE) and Lagrange multiplier (LM) method is presented to obtain an economical tolerance allocation. In fact, DCE technique, based on the failure mode, effects and criticality analysis (FMECA) tool, is used to quantify the manufacturing difficulty of mechanical parts, as well as the LM method is developed to optimize the proposed approach while respecting the functions and manufacturing requirements. A case study is established to verify the highlights of this work. Indeed, the computed result shows that the method can produce tolerance allocation economically and accurately according to difficulty requirements. Consequently, the proposed method is performed to exploit fully design for manufacturing and assembly (DFMA). For this, an integrated CAD/tolerancing model based on manufacturing difficulty (ICADTMD) is developed using graphical user interface (GUI) in MATLAB.